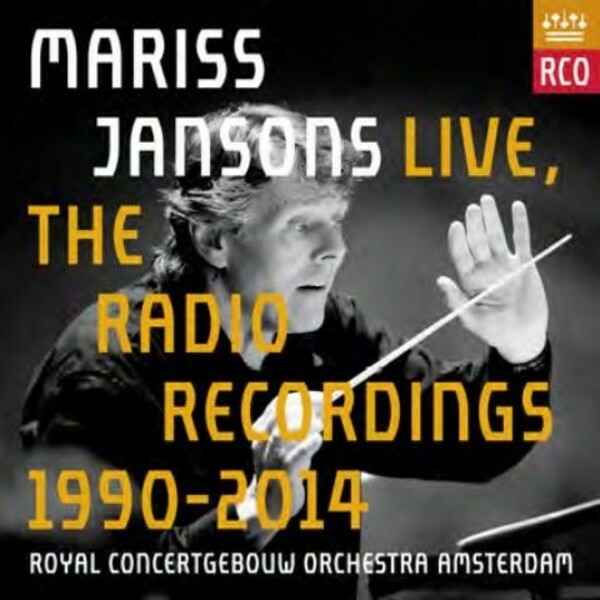 After having released boxed CD sets dedicated to former chief conductors Willem Mengelberg, Eduard van Beinum, Bernard Haitink and Riccardo Chailly (now only available as part of the RCO Live Radio Legacy, RCO13006), the Anthology-series is now brought up to date with radio recordings featuring Mariss Jansons. After being chief conductor for eleven seasons, Jansons has resigned for health reasons. The Royal Concertgebouw Orchestra's beloved sixth maestro will be succeeded by Daniele Gatti with effect from the 2016/2017 season. This tribute to Mariss Jansons was compiled by Dani�l Esser (former RCO cellist) and Lodewijk Collette (former head of RNW's Music Department), the very team that was responsible for all the previous Anthologies. Drawing on the wealth of recordings in the Dutch public broadcasting network archives and the archives of the BBC, Deutschlandradio and Rundfunk Berlin-Brandenburg, this selection emphasises the extraordinary relationship between Jansons and the Royal Concertgebouw Orchestra. It mixes repertoire commonly associated with the maestro with unexpected treats, such as works by Gubaidulina, Var�se and Louis Andriessen. This CD set is an important supplement to the existing discography of Mariss Jansons and the Royal Concertgebouw Orchestra. The DVD contains Gustav Mahler's Symphony no.4 with Anna Prohaska.